easy installation "plug and use"
During product development, it may happen that only a few grammes of a new substance are available to the research and development division. Even the one-kilogramme laboratory systems available on the market are too large for these small volumes, so that no reliable tests or simulations can be carried out. In order to ensure representative results, for example in the case of drying processes, the useful volume of laboratory equipment must be adapted to the low volumes required, i.e. 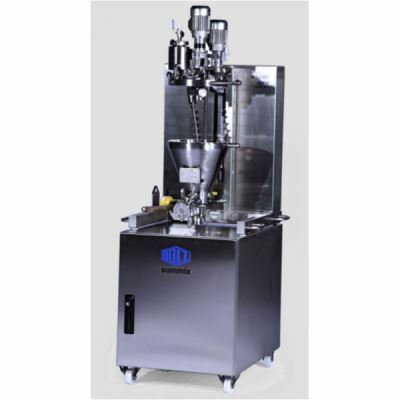 the equipment must be small and as flexible as possible to simulate the various processes. The new laboratory dryer was developed jointly with our partner in order to meet these requirements. Our partner's experience in the laboratory field, combined with our own know-how regarding the design and construction of contact dryers, resulted in well-engineered laboratory equipment. 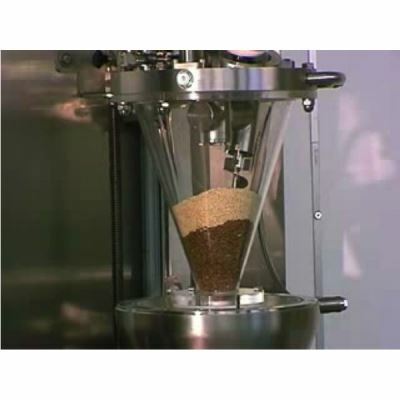 A large range of process states can be simulated by making use of the flexible filling volume, ranging from 150 to 1 500 ml. Modern laboratory software and hardware ensure that all important data are recorded, evaluated and processed, thus making them available for the necessary scale-up calculations. All the necessary PAT instruments and measuring elements are already available, so that the BS-miniDRY ® lives up to every aspect of a production machine. 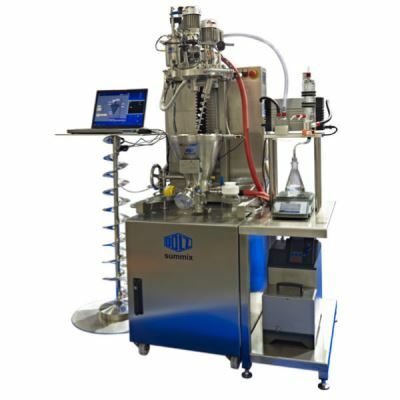 Our new BS-miniDRY® laboratory dryer and mixer comes equipped with a pressure sensor, a temperature sensor for the product temperature and the heating/cooling medium, a sampler, a spraying flange and a differential pressure meter on the filter. Optional extras are an NIR sensor, a moisture content meter and a miniature camera for monitoring the process on a PC.